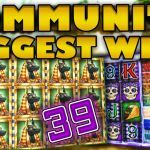 October is here so let’s welcome the new month with a new casino streamers biggest wins compilation video. 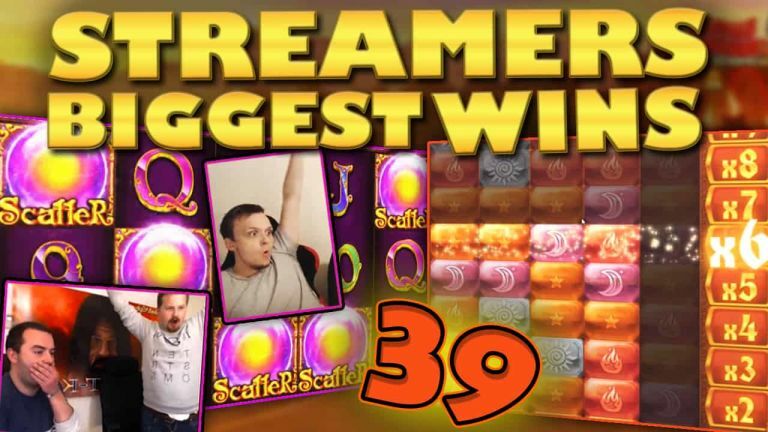 This is a special one as a streamer gets his biggest win ever on stream. All the hits come from the 24th until the 30th of September 2018. 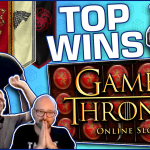 Therefore, let’s dive in and check each of these amazing slot wins! Want more compilations like this one? - Then check out our Big Wins page. Moreover, you will find all the slot machines featured, in this week's clips, on the streamers top rated casinos and bonuses list. 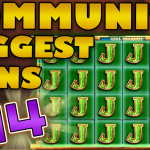 We kick off this Casino Streamers Biggest Wins Compilation with Jammin Jars. This slot is everywhere these last weeks. It seems like everyone is winning big on it, despite it’s extremely high volatility. One of the lucky ones was Miikapekka who was playing the game on €1 bet when he landed the bonus round. The scatter jars were is a dancing mood, and thanks to them making numerous winning combos the multipliers jumped enormously. Hence a total win of 1265x the stake. Push Gaming kicked it out of the park with this slot. Two big slot streamers playing a great game. - What more can you want? Spintwix’s stream last week was quite fun to watch, especially since he had David Labowsky as a special guest. The two friends were playing multiple games, among them the Queen of Riches slot machine. It was on this Big Time Gaming title that the magic happened. Thus, just like that, four reels went on a sync and gave a super winning combination with the pyramid symbol. Wish that happens to me someday. Now here is a slot game which we rarely see in these compilations. Specifically, I am talking about Bust the Bank. In my opinion, this slot is one of the most underrated Microgaming titles out there. Nick was playing £2.4 bets on calzone casino when he triggered the free spins feature. In short, on this bonus the two outer reels become wild and you just need to connect a symbol on the three middle ones. Of course, the better the symbol, the higher the win and Nick got one of the better ones. A double bonus is always exciting to feature, as it is pretty rare. Therefore, even though the win SuperSmask got on Fire Queen is not super big, it’s still worth talking about. Slot games like this and the popular Bruce Lee release their biggest potential when you trigger the double bonus feature which in turn can make for some spectacular wins. In the case of SuperSmask the free spins turned a SEK 10 bet into a 330x the stake win. Not too shabby! It shouldn’t even be a surprise by now, seeing Shirox winning big. The slot streamer amazes us, week after week, with epic hits on different slots. This time the German was paying €5 bets on the new Madame Destiny slot from Push Gaming. This slot is available on Winning Room, as well as, most other online casino sites. This particular slot is similar to Lucky Lady’s Charm which is my all time favorite. Thus I was amazed when I saw the 5 scatters land in one of the bonus spins. I can’t wait to play this casino game myself. Before we end this Casino Streamers Biggest Wins Compilation we have to talk about LetsGiveItASpin. He won his biggest win ever on stream last week. It was a roller-coaster of a stream for Kim who was failing to make the wagering on a big balance he had won on Roulette. Obviously titled, Kim was doing huge bets on Light Blocks, a weird slot game from Merkur. For once the tilting payed off, and a lucky spin made for a super mega win of more than SEK 100.000. Moreover, Slotspinner got a great win as well, his win came from Genie Jackpots. Due to You Tube issues we do not have individual clips of these two win. So make sure to check them both on the main compilation video. 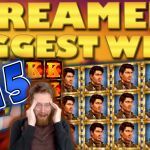 Tell us which win on Casino Streamers Biggest Wins – Week 39 of 2018 was your favorite. Share your thoughts in the comments. 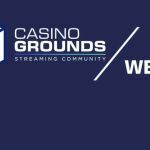 Also make sure to check our other videos on CasinoGround’s YouTube channel.